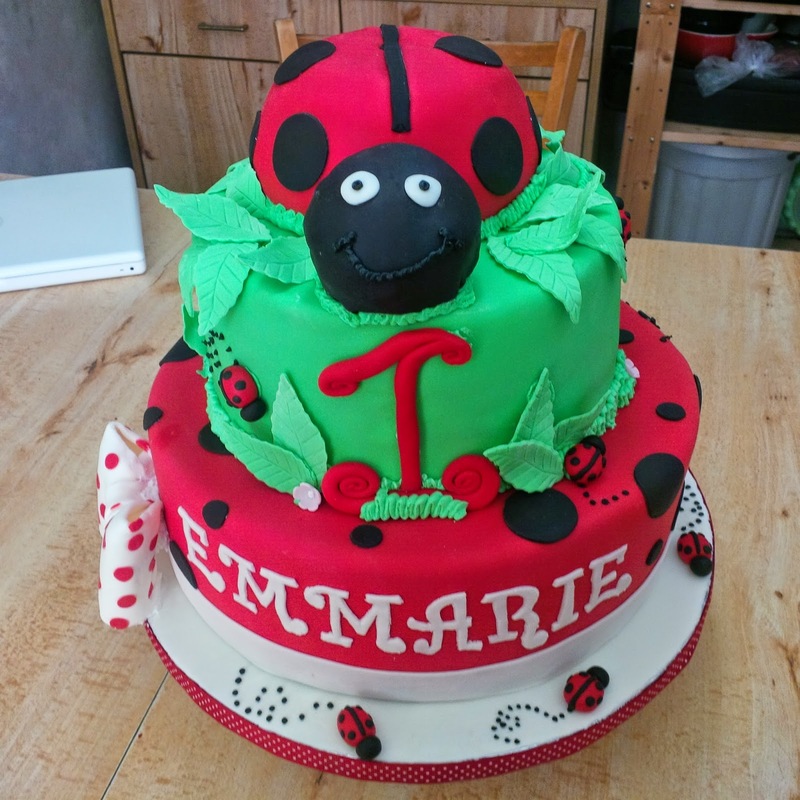 It looks like those cute little ladybugs I had made a while ago found their way onto a cake! A little girly was celebrating her first birthday and needed a cake to match her adorable smile. 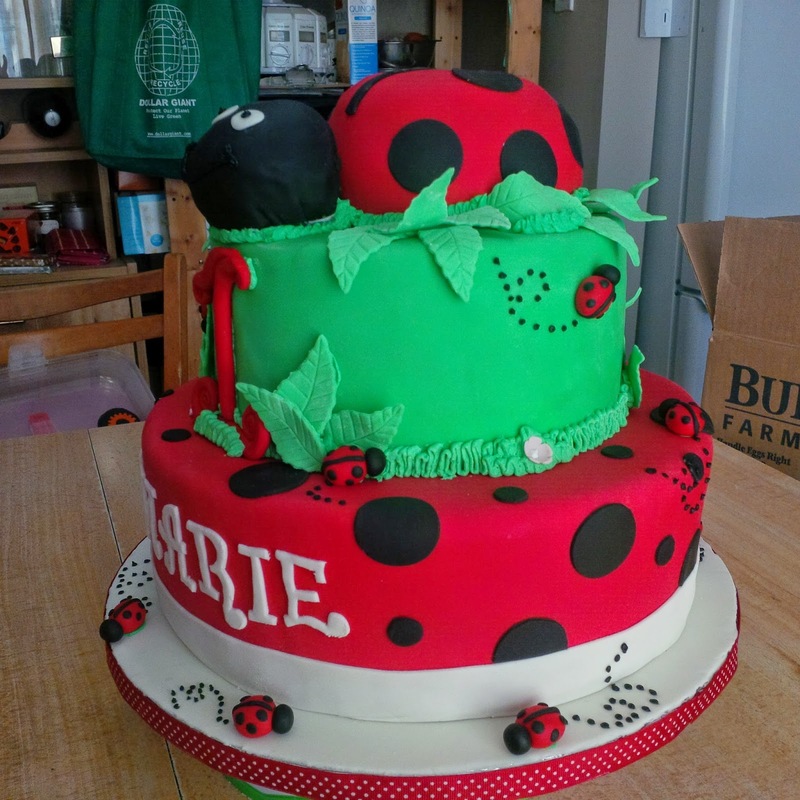 Her Aunt ordered her birthday cake for her as gift and wanted it to match the ladybug theme of the party. 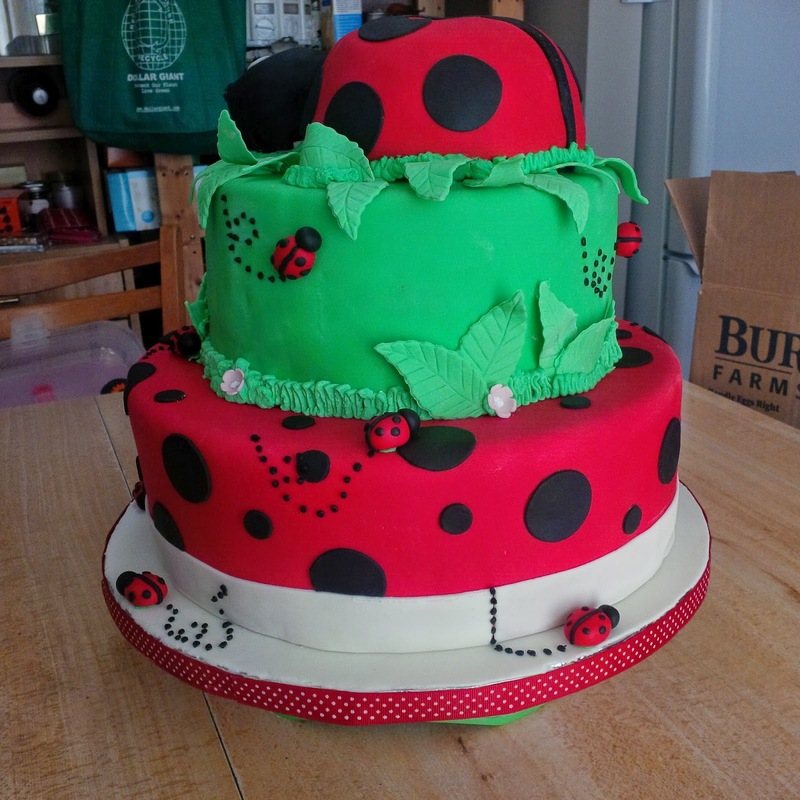 She had sent me a picture of what they wanted the cake to look like, so I was able to use that as a reference and add my little twist of creativity to it. I tried out some new recipes and techniques this time around. 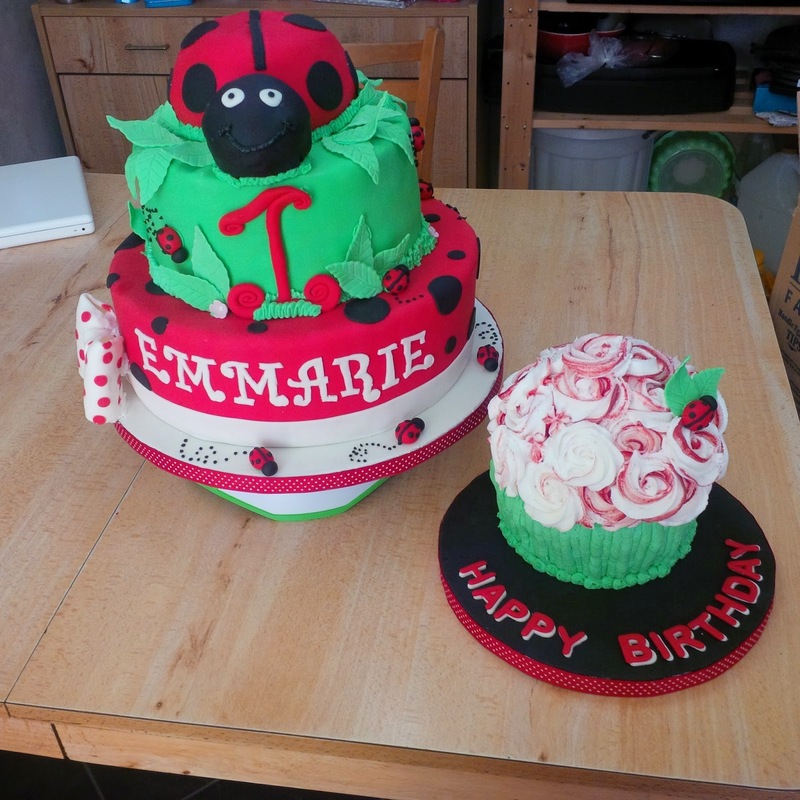 I baked a vanilla butter cake for the bottom layer as well as the large ladybug on the top. I looooooved this recipe. It was such a nice cake to torte and barely had any crumb. I think it would be a great cake to carve with. I also baked a chocolate butter cake for the middle layer. This layer was delicious but definitely more crumbs. I made a simple syrup mixture and between each layer of cake I brushed on the simple syrup before spreading a layer of buttercream. This is a great trick to keeping the cake moist! I received rave reviews from the cake eaters at the party, they loved the new recipes! I will definitely keep them in my repertoire. 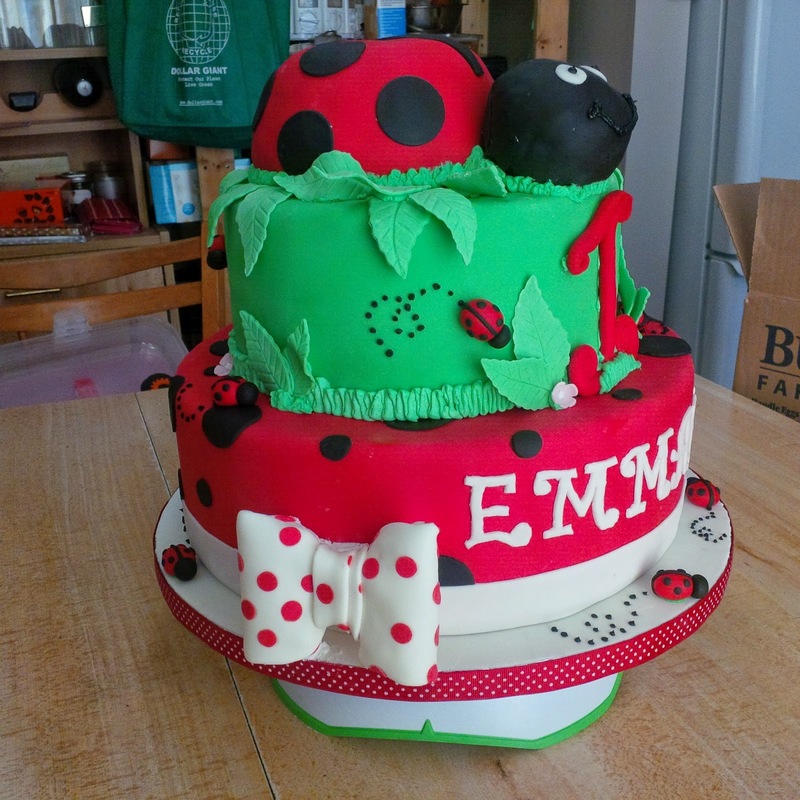 I covered all three layers in a simple vanilla buttercream before covering them in coloured fondant. 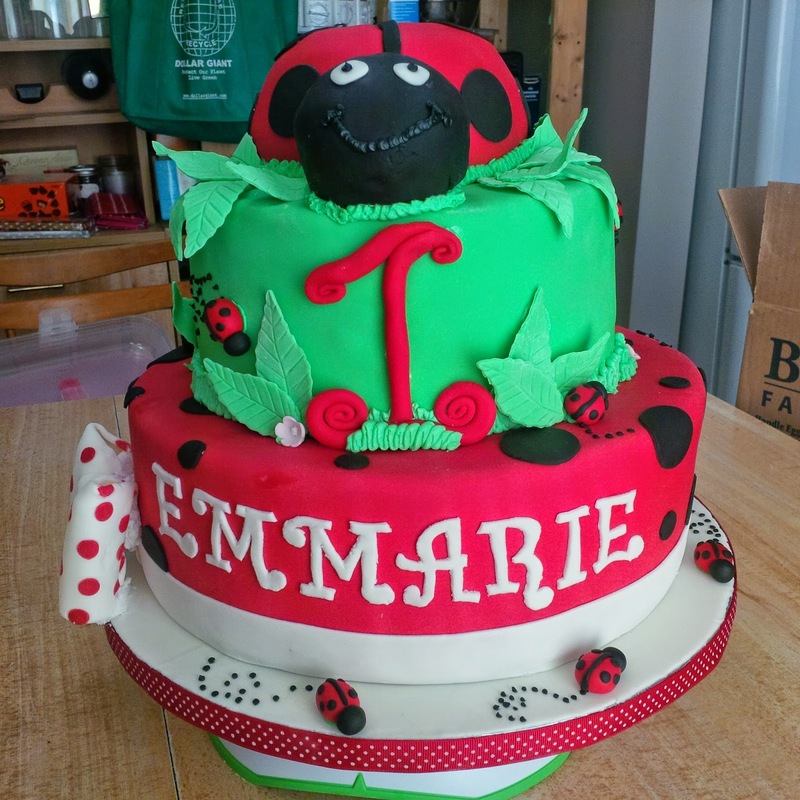 The red and black fondants are store bought as those deep colours are so hard to make, but the rest of the colours are all homemade marshmallow fondant. The parents also wanted a smash cake for the birthday girl so she could really get messy! They requested a sugar free cake, so I made a sugar free banana and apple sauce cake. Even without the sugar, it still tasted great! My hubby thoroughly enjoyed my test run cake! I baked it in my giant cupcake cake pan and decorated it to look like a simple bouquet of flowers. 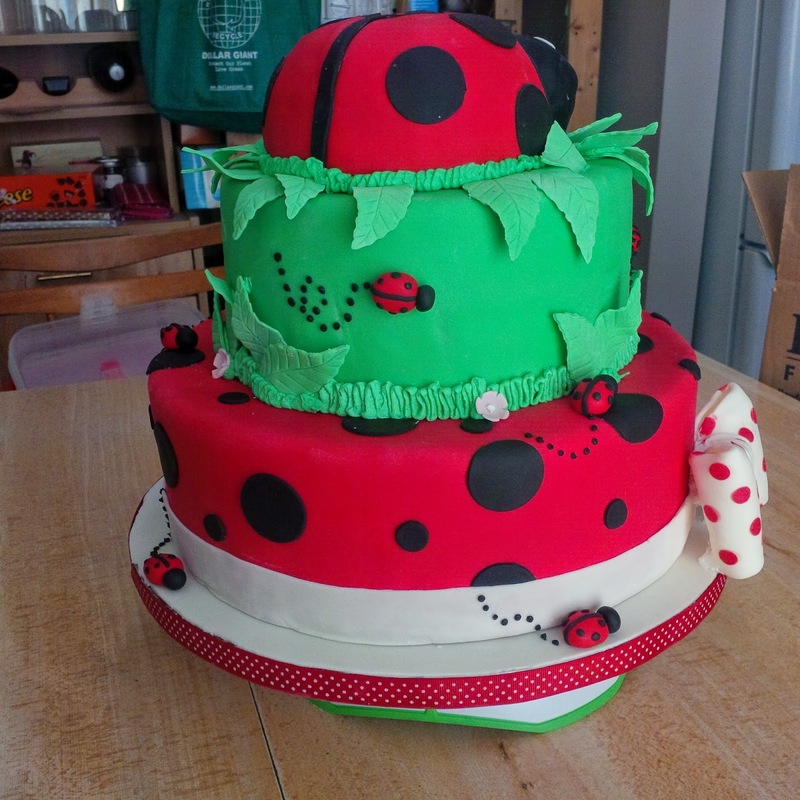 I tied it into the larger cake with both the colour theme as well as the little lady bug and leaf decoration. Everything on the cakes is edible, minus the boards between the layers and the dowels used for structure. I think they turned out lovely and made a great addition to the party! 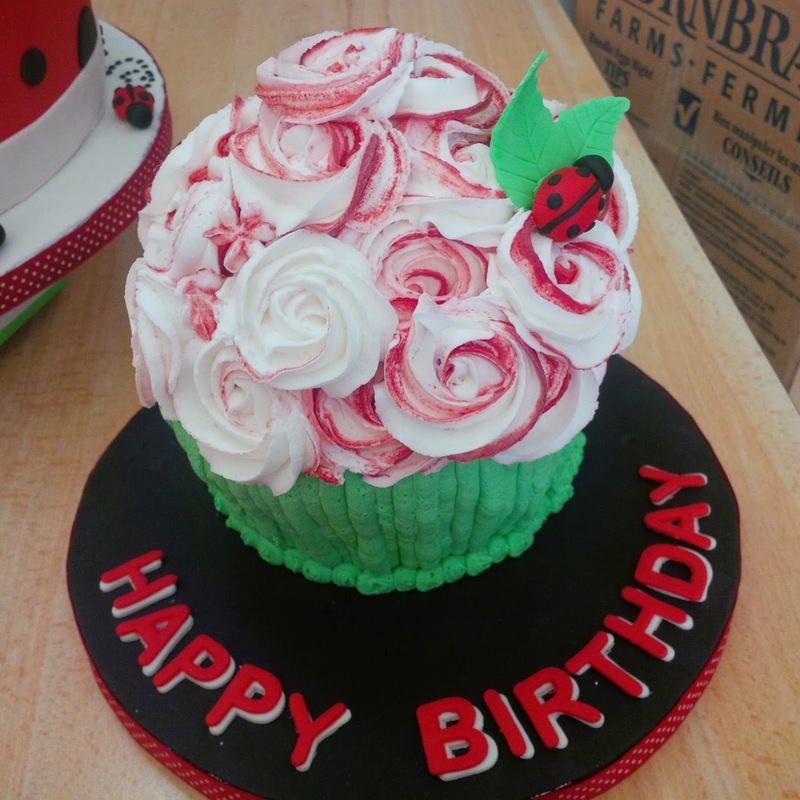 May cupcake of the month! The Easter Bunny was here!